The decision on the qualifying teams for the 2008 European Football Championship was taken some time ago and now football strategists are feverishly working on match tactics. So it’s no bad thing to get the right line-up in your living room for once. 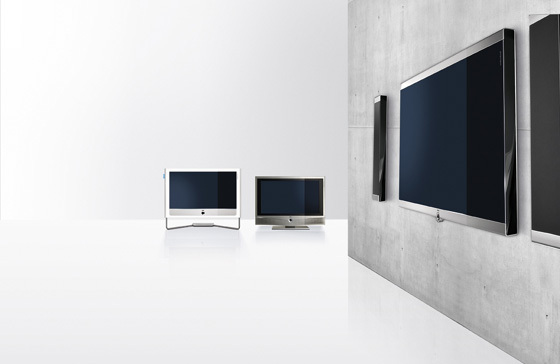 Loewe has three flatscreen TVs available for when the whistle blows for Euro 2008. Loewe’s three large LCD TVS came through qualifying a long time ago. Most recently, a table of technical data published in trade magazine Video 3/2008 put the new reference model, the Individual 52 Compose, in pole position. But the internal quality of Loewe’s flatscreen TV wasn’t all that impressed the media. Loewe’s three models, the Loewe Connect 37, the Individual 40 und 52 Compose have already won the famous red dot award for design quality. In addition, this year, a high-class jury awarded the famous iF Gold Award to all three sets. The “best TV set in the world” (HomeVision 4/2007) now has a big brother. With a 132-cm screen, 16:9 format and integrated, HD TV digital resolution (the current standard for TVs), the Individual 52 Compose achieves a maximum resolution of two million pixels. And now, for the first time, you can record HD TV content too, on the integrated hard disk DR+. In addition, integrated DVB-T, DVB-C and DVB-S reception also offers flexibility. The Individual Compose is designed for individualists. Technical equipment, surfaces, materials and set-up solutions can be combined as required, which proves that, with a nose for design, you can get to the finals, too.